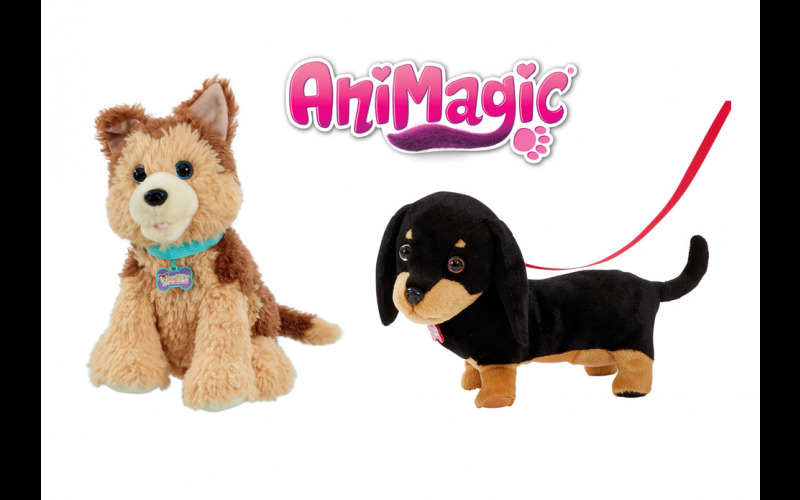 Woman Magazine Competitions | Prize Draw - Win AniMagic Prizes! Meet adorable Woofles and super cute Waggles - the latest additions to the AniMagic kennels! Eight lucky winners will win a Woofles and Waggles of their very own! Woofles My Playful Pup is your real-life playful puppy pal with the most amazing life like movement! He's the most realistic pup you’ve ever seen; stroke his head and he'll make cute puppy sounds as he get's ready to play. You can even talk to him or use his squeaky bone toy and he'll react to you, moving around and barking along happily! Waggles My Wigglin' Walkin' Pup is a wiggling, waggling, walking sausage dog! He walks just like a real sausage dog, wiggling his bum and waggling his tail as he trots along happily. Waggles loves to go for walks with his new owner and with his cheeky smile and cute puppy barks he's your new best friend! Both Woofles and Waggles are perfect pets for children aged 3+.